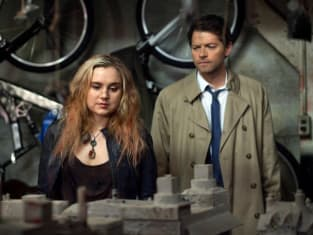 It's the return of Castiel and Meg. Both are featured in the Supernatural installment "Goodbye Stranger." 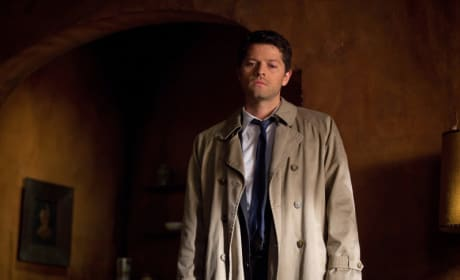 Castiel is back! This is a photo from the Supernatural episode "Goodbye Stranger." 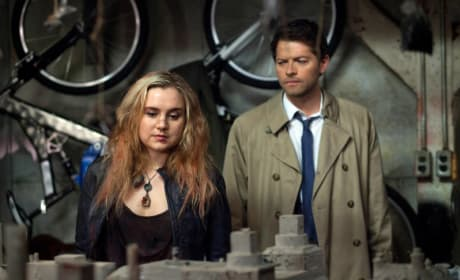 Pictured in this Supernatural scene, a couple of fan favorites: Rachel Miner as Meg and Misha Collins as Castiel. 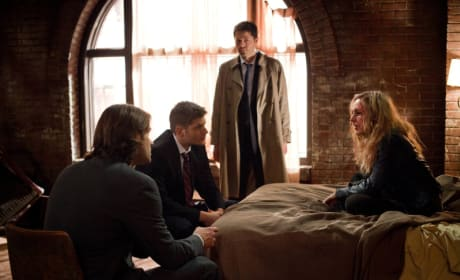 Supernatural Round Table: "Goodbye Stranger"
Supernatural Review: Shut Up, Meg!